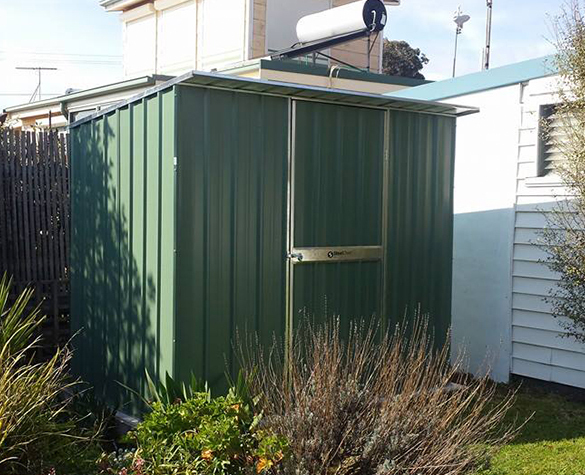 The skillion roof garden sheds have recently grown in popularity as customers look to maximise storage space around the home. 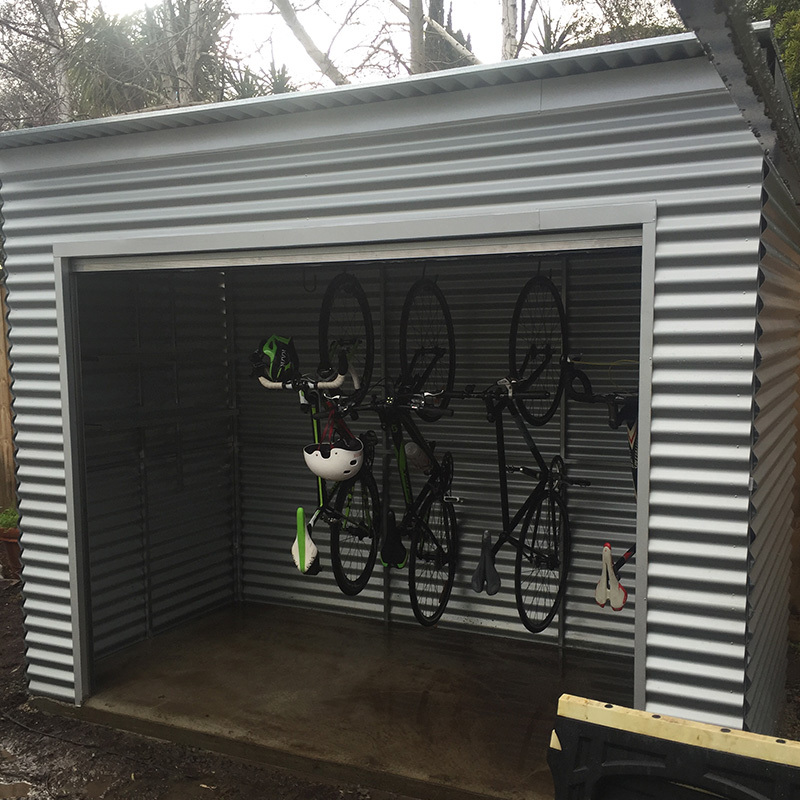 These sheds are great if you are looking to place a shed in a tight spot or down the side of the house. 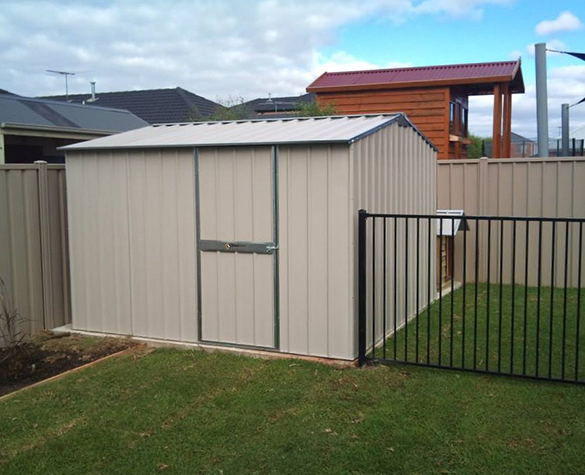 While they are relatively compact sheds, they are still great for storing garden equipment and other items including lawn mowers, deck chairs and power tools. Add a set of shelves to lift chemicals and other items off the ground. 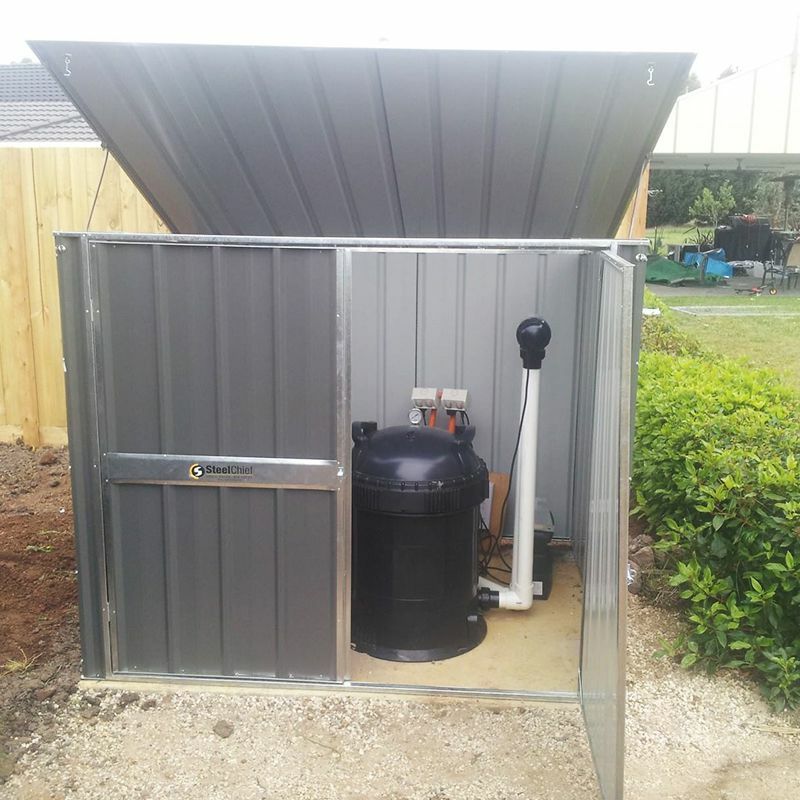 The corrugated profile is a great look, and coupled with the heavy duty gauge steel it also provides added strength and security. 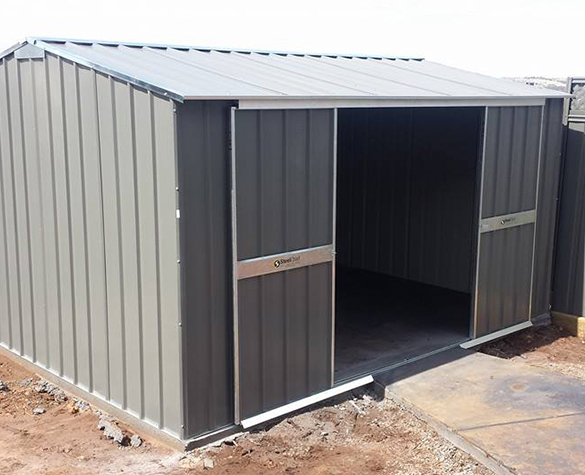 Although there are many standard sizes to choose from, if you need a shed to fit into a tight or unusual location then we can custom make to suit your requirements. Alternatively if you have a tight space and a hinged door simply won’t work then a sliding door would be a much better option. There are so many ways we can help improve the layout and functionality of your shed. 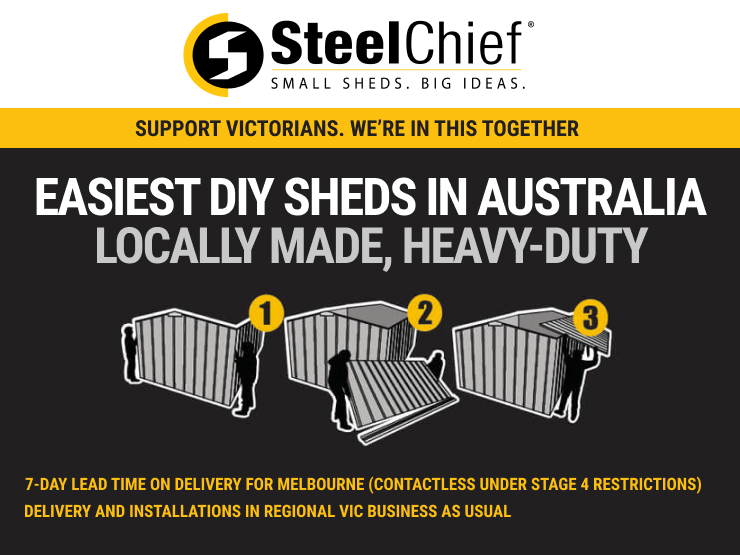 Check out the range of options available that can be applied to your shed.